Back in 2016 we had Robin up onstage demonstrating the possibility of a robotic mower as a service rather than just something you buy. They’re still going strong, and just introduced and patented what seems in retrospect a pretty obvious idea: an automatic door for the mower to go through fences between front and back yards. 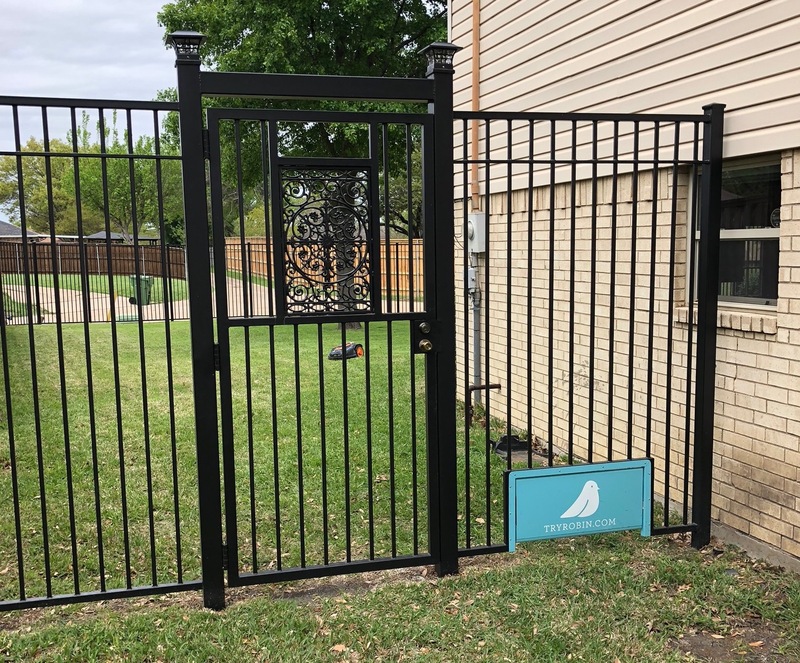 It’s pretty common, after all, to have a back yard isolated from the front lawn by a wood or chain link fence so dogs and kids can roam freely with only light supervision. And if you’re lucky enough to have a robot mower, it can be a pain to carry it from one side to the other. Isn’t the whole point of the thing that you don’t have to pick it up or interact with it in any way? The solution Justin Crandall and his team at Robin came up with is simple and straightforward: an automatic mower-size door that opens only to let it through. Simple, right? It uses a magnetometer rather than wireless or IR sensor, since those introduced possibilities of false positives. And it costs around $100-$150, easily less than a second robot or base, and probably pays for itself in goodwill around the third or fourth time you realize you didn’t have to carry your robot around. It’s patented, but rivals (like iRobot, which recently introduced its own mower) could certainly build one if it was sufficiently different. Robin has expanded to several states and a handful of franchises (its plan from the start) and maintains that its all-inclusive robot-as-a-service method is better than going out and buying one for yourself. Got a big yard and no teenage kids who can mow it for you? See if Robin’s available in your area.